This article was first published on page 16 of The Cyprus Weekly (8 February 2013). Allow me to start with a few questions: What is the relationship between medieval Cyprus and media? How can centuries-old historical artefacts be brought to life by modern technology? Can a creative interpretation of cultural heritage help cultivate a vision of a common future in Cyprus? At a small gathering at the Cyprus Community Media Centre (CCMC) on Saturday 26 January, celebrating over two year’s work on, the Cyprus Artefacts Treasure (CAT) media education project , the answers were clear in our minds. A little bit of background to start with. 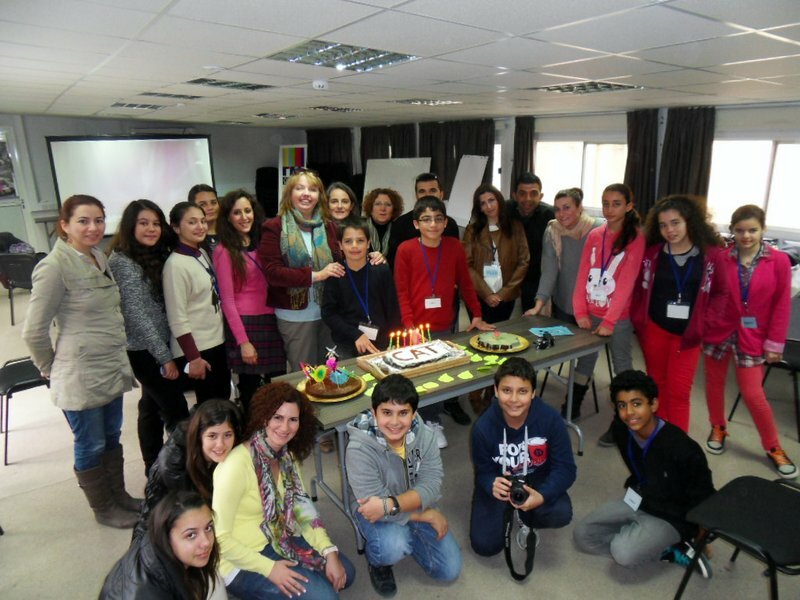 In October 2011, and under the auspices of the International Children’s Film Festival of Cyprus, or ICFFCY for short, the participants in CAT 1 got together in a group comprised of 20 Greek Cypriot and Turkish Cypriot children from Paphos and Famagusta as well as 10 adults. What we wanted was to respond to the Brussels Declaration, adopted in January 2011 under the Belgian Presidency of the European Union, which called for, amongst others, the development and promotion of “pedagogies adapted to each audience, to all ages of life, to varying social and cultural backgrounds”. And what better way to learn about the creative use of media than through the lens of history and culture! There is often criticism of so-called ‘bicommunal’ projects for not affecting significant changes, but we beg to differ. Because we knew what we wanted to do! Our bicommunal group of eager young Cypriots and enthusiastic educators met regularly over a period of 6 months during the CAT 1 and worked on 5 animation films which illustrated each in its own unique way, a little bit of Cypriot artefacts from the Ayia Irini collection. All of a sudden through the eyes of the children emerged a blend of creativity and history that brought to life a world long forgotten, consigned for the most part to history textbooks, encyclopaedias, and dusty museum displays. 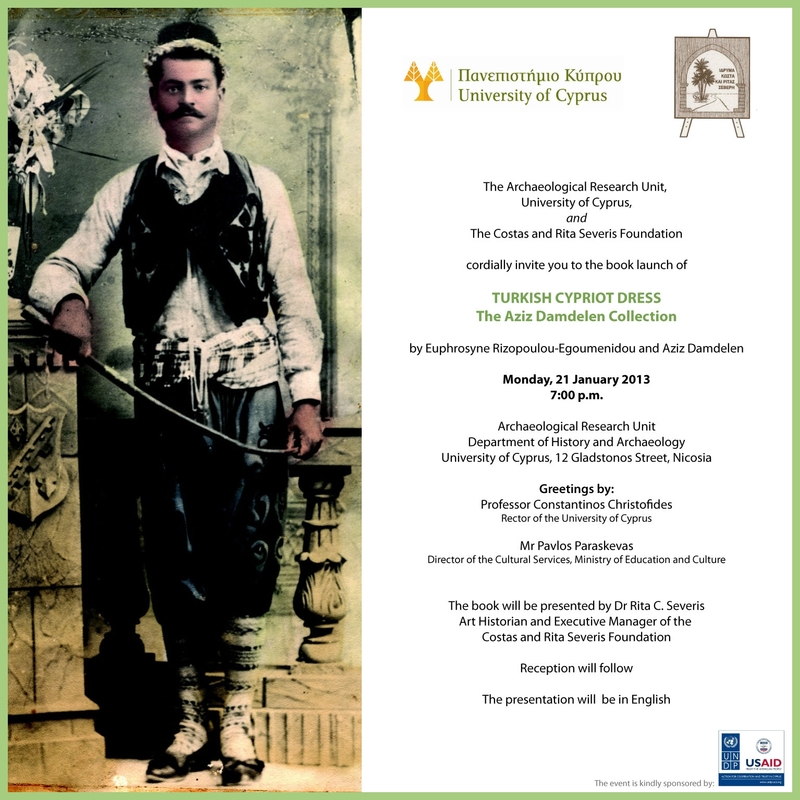 In that time we also published two educational booklets about Cypriot artefacts prepared jointly by ICFFCY and the Association for Historical Dialogue and Research (AHDR). The excitement got the better of us! In May 2012 we launched the CAT 2 with the aim of building on the success of CAT 1, and to strengthen the bonds between our two partners, the Famagusta Cultural Association and Paphos Antamosis organisation. We realised that culture and media really could be used as a vehicle for promoting a shared understanding of both past and present, for promoting trust and dialogue, and for nurturing reconciliation. This time we were focusing on medieval Cypriot artefacts. We traversed the island visiting medieval archaeological, from St Hilarion all the way to Paphos Castle. The work was not always easy of course – there is the issue of language that we had work with, and the very obvious impact of the division of the island. But where there is a will, there is a way. And our group leaders and volunteers worked tirelessly, with a smile on their face and with tremendous energy to keep the momentum of CAT going. In the process we managed to involve not only the children but also their parents, with people experiencing the ‘other’s’ reality, which was an equally rewarding experience. Whether there will be a CAT 3 remains to be seen. But if there are parents and teachers out there who would like to become involved with our work, or would just like to find out more information about CAT, please visit our website http://www.icffcy-cat.com. The CAT was supported by the Bicommunal Support Programme of the US Embassy in Cyprus and organised by ICFFCY in collaboration with Mağusa Kültür Derneği in Famagusta and Antamosis in Paphos. 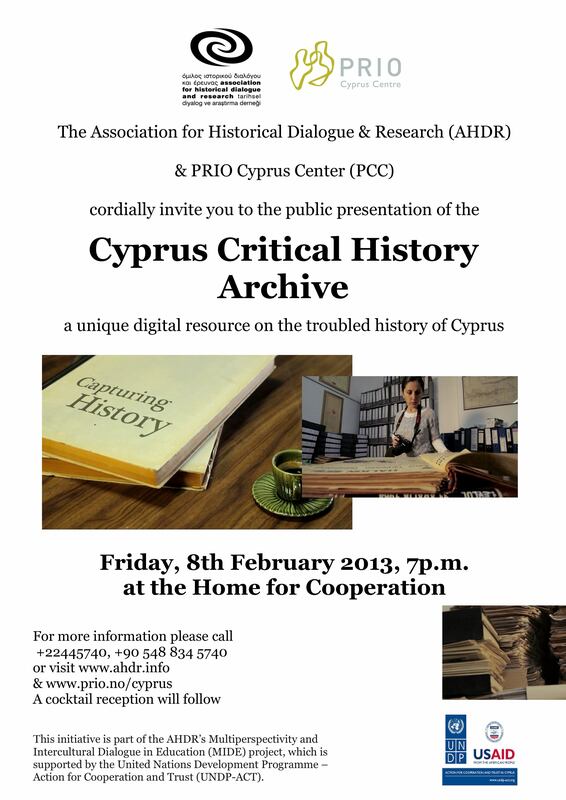 Cyprus Critical History Archive goes live! Have you written something on Cyprus in 2011? The forthcoming issue of The Cyprus Review journal (Vol. 24: No. 1) will include a bibliography section on all publications relating to Cyprus that came out in 2011. This would include new book titles, chapters in books, articles and PhDs. Conference proceedings, reports, documents, online and working papers can also be included. The Cyprus Review team are finalising their list and you can help by bringing to their attention any publications you know of published last calendar year. You can get hold of the current bibliography from Olga Demetriou at bookreviews.tcr@unic.ac.cy, or you can forward any material to Olga before the end of business tomorrow, Thursday 3rd May 2012. Click here to download the latest newsletter from CCMC member the Association for Historical Dialogue and Research. The Year 8 students of the American Academy school in Nicosia are inviting you to a presentation at 7pm on Wednesday 1 June 2011 in the auditorium of their school marking the completion of the Cyprus Artefacts Treasure in Action project run during the school year in partnership with CCMC member the International Children’s Film Festival Cyprus and CCMC. 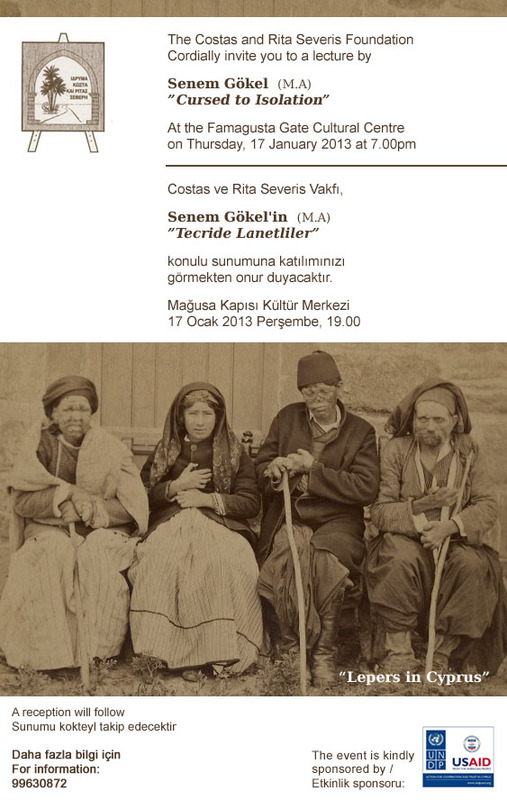 The presentation will take the form of a drama performance with the showing of artefact books. A reception will follow. You are cordially invited to the informative meeting of the Future Together Project’s One Message to Encourage initiative at 11am on 1 June 2011 at the CCMC Community Space in Nicosia’s buffer zone, next to Ledra Palace. The “Future Together” project, which is implemented by Cyprus Scientific and Technical Chamber (ETEK) and The Union of Chamber of Cyprus Turkish Engineers and Architects (KTMMOB) and funded by United Nations Development Programme – Action for Cooperation and Trust (UNDP-ACT), is designed to promote a socially inclusive reconciliation process on the island with a focus on enhancing cultural and natural heritage projects through participatory approaches. The overall aim of the initiative is to lead to increasing citizen participation in decision-making processes, in particular with regards to shared physical spaces. Come along on Wednesday to hear more and see how you can get involved! The ”Future Together” project (Participatory Development Project) through its “One Message to Encourage” initiative will provide an opportunity for small-scale community-driven cultural or natural heritage conservation projects to tell their story to a wider audience, and to have access to the capacity-building programme of the “Future Together” project.